Would you like to become independently mobile? 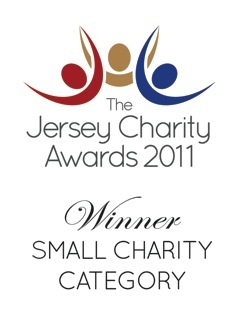 Learn more about our Jersey, Channel Islands based charity. Make an application to have a Driving Instructor help you. Contact details for the Charity and our Driving Instructors. Do you have a physical disability which makes it difficult to drive? Driving for the Disabled is an independent charity, registered with the Association of Jersey Charities. It was founded by Pam Evans, now our President, after suffering a stroke leaving her paralysed down one side. Pam had to go to a Mobility Centre in England in order to return to driving. This experience made her realise that this opportunity should be available to all physically disabled people in Jersey. With support from the Lloyds Bank Foundation for the Channel Islands, we have managed to raise sufficient funds for an appropriately adapted car which should meet the needs of many disabled people. We have the services of a GP who is trained in fitness to drive assessments, a trained Lead Driving Assessor, who is also a Paramedic, along with two other Driving Assessors, who are able to give driving lessons and assess people for their suitability to return to driving, or learn to drive. We are member number 301 of the Association of Jersey Charities, and an Associate Member of The Forum For Mobility Centres, UK. Driving for the Disabled can offer a great deal of advice that helps you get back on the road to independence. We can advise whether full driving licence holders would benefit from a course of driving instruction prior to being assessed, and when and how a provisional driving licence holder should prepare for a full driving test. We can offer advice with regard to your ability to drive safely, on adaptations to overcome physical problems with vehicle control, which car would be suitable for you, where to buy your car, and where to go for adaptations. Careful assessment is necessary to ensure that it is safe for you to return to driving. Every effort will be made to assist you with your disability. DFTD helped Melissa learn to drive a specially adapted car. Assessments will be conducted by one of our Approved Driving Instructors. You will need to complete an application form and make an appointment. The instructor will bring the car to wherever it is convenient for you. The car is fitted with power steering, automatic transmission and dual controls. Other adaptations are available. Driving instruction will generally take between 1- 2 hours. Full driving assessments may take longer. We may need to ask for a medical report or an assessment by the Consultant Physician, Psychologist and/or Occupational Therapist. A physical assessment may be necessary to establish ability to control the car and adaptations. We will need a full report of a recent eye test. We will offer full support and guidance. A fee will be payable for all instruction however we will cover the costs of assessments. A full written report will be provided, and you may need to send a copy to the Parish Hall. We aim to keep the costs as low as possible, but as a charity, we are dependent on fund-raising and grants to support us. We keep them on file for up to seven years. Read the application form for your privacy choices before you sign. Other demographic information from the application form is kept by charity staff to help us better understand how to reach the Disabled community here in Jersey. Click on the download button below to save and print a copy of the application form. Once you have completed it, please post it to us at the address provided on the form. Good luck! Demographic information from our application form is used by charity staff to help us better understand how to reach the Disabled community here in Jersey. You have the right to opt-out of sharing your demographic information. Help us raise funds to get more Disabled in Jersey back in the drivers seat. "Rachael's Car", a fully wheelchair accessible vehicle is for hire in Jersey. For a suggested donation of £10/day and a refundable deposit of just £200 it is available to the Disabled in Jersey. Please book well in advance by contacting Ray Pallot on +44 (0)7797 811928. Driving For The Disabled would like to thank the following individuals and businesses for their kind support.